Dominion on her/his blog “The Couloir Times” has shown a part of the Blue Ridge Mountains where she/he grew up as WoGE #177. A snowy place as WoGE for Christmas season. 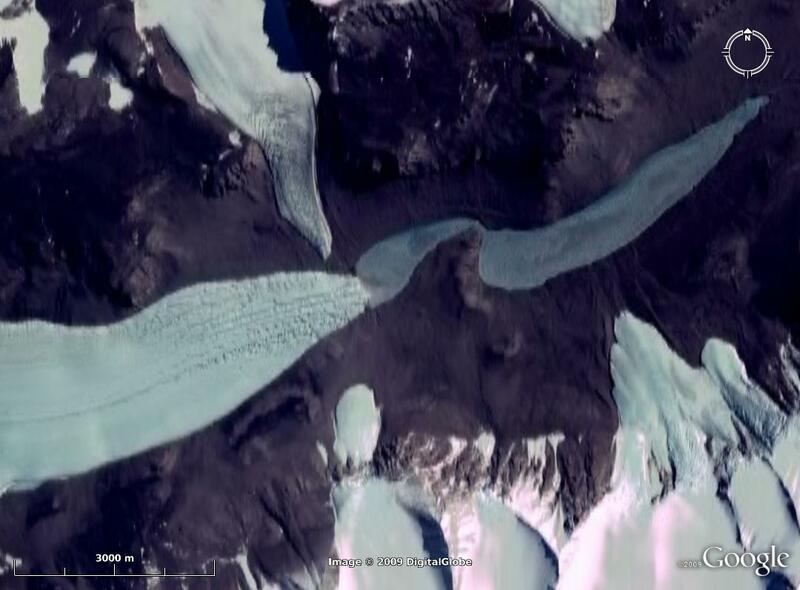 For any new players to Where on (Google) Earth, simply post a comment with latitude and longitude and write something about the (geologic) features in the picture. However, just “a glacier and the proglacial lake” won't cut it. You'll need to explain what's special about this glacier… If you win, you get to host the next one. Because I think that this WoGE is rather easy, I invoke Schott's Rule: former winners have to wait until posting for 1 hour for each WoGE they got right. Posting time is 22 December, 20:00 CET (19:00 UTC). Taylor Valley, McMurdo Dry Valleys, Antarctica. The large glacier coming into the image from the west is the Taylor Glacier, at the tip of which is Blood Falls. Lake Bonney is a saline, endorheic lake about 7 km long by 0.9 km wide. I'm looking forward to your next puzzle. Also, I just found out that you could recover the lost WoGE.kmz file. Great! WoGE #179 is posted. Schott Rule in effect.